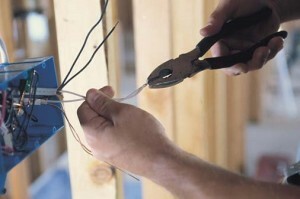 We can have a fully trained and Qualified Electrician with you in Hornsey on the same day or on a day that suits you. Our team of Hornsey electricians are available for emergencies 24 Hours a day 7 Days a week. Seniour citizens can receive a 5% discount when booking a Hornsey electrician. No Call out charge for booking a Hornsey electrician, just a clear and simple method of charges, see our charges page for more information. Need a Hornsey Electrician? Call now. We can understand how frustrating it is when a electrician doesn’t give a good service or when he doesn’t turn up or turns up late, leaves a mess behind, or doesn’t explain what he’s doing. We will always try our best to keep you fully informed from the moment you book the job till the very last minute when the engineer leaves your property. We can also give you a courtesy call when the electrician is on his way so you need not wait around. And when we have completed the job in hand we will clean up after ourselves. We not only provide you with Hornsey electricians, we have a specialist range of workforce from drainage engineers who can take care of a blocked drain at short notice, or a plumber should you need one. See links below.